Please also be mindful that the rules clinic for officials remains free online until 11:59 p.m. (ET) on Sept. 4. 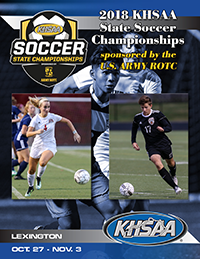 You will need to login at http://officials.khsaa.org/authorize/ to view the clinic. After September 4, the clinic will be available online but only with the payment of a fine.